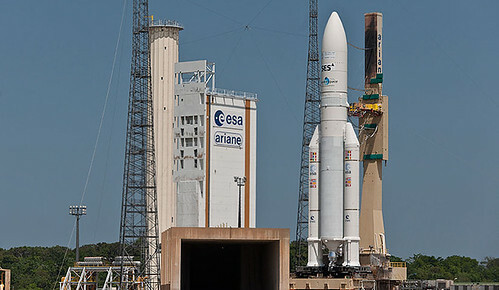 The mission was carried out by an Ariane 5 ECA launcher from Europe’s Spaceport in Kourou, French Guiana. Liftoff was on Friday, September 28, 2012 at 6:18 pm local time in Kourou (5:18 pm in Washington, D.C., 21:18 UT, 11:18 pm in Paris, and on Saturday, September 29 at 2:48 am in Bangalore). ASTRA 2F. 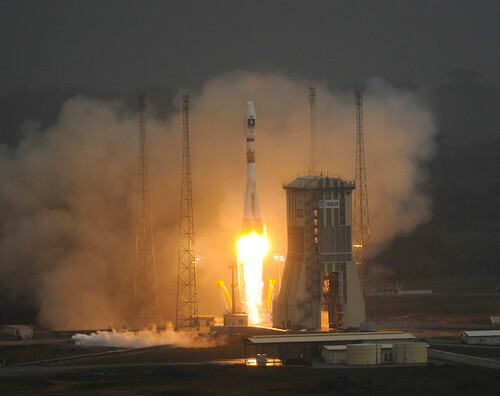 Built by Astrium using a Eurostar E3000 platform, ASTRA 2F weighed 6,000 kg at launch. Fitted with active Ku- and Ka-band transponders, ASTRA 2F will be positioned at 28.2 degrees East. 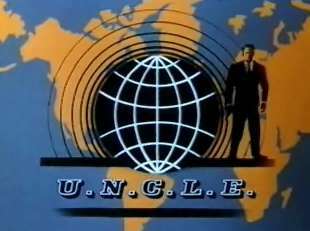 It will deliver new-generation DTH TV broadcast services to Europe, the Middle East and Africa, and offers a design life of about 15 years. GSAT-10. Designed, assembled and integrated by the Indian Space Research Organization (ISRO) in Bangalore, southern India, GSAT-10 weighed about 3,400 kg at launch and offers a design life exceeding 15 years. The satellite is fitted with 18 C-band and 12 Ku-band transponders. Positioned at 83 degrees East, it will provide direct-to-home broadcasting, weather and radio-navigation services. Its coverage zone encompasses the entire Indian sub-continent. You put in three years of work into designing, planning and building a spacecraft. You test, test and test again. 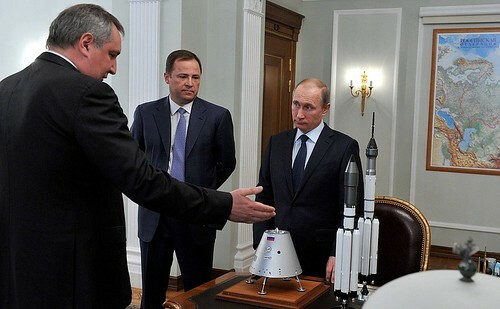 You select a dependable launch vehicle and schedule it. Lots of time and money goes into this kind of rocket science. Final campaign begins and then, 30 days later, it’s launch day. Attendez une minute! The Union des Travailleurs Guyanais (UTG) decides to strike. That’s right: the Trade Union of French Guiana Workers has caused Arianespace to postpone the launch indefinitely. The Trade Union of French Guiana Workers (UTG) initiated a strike within the TELESPAZIO company making unavailable certain means of measurement in the Space Center which are absolutely necessary for an Ariane launch. Consequently, Arianespace and CNES have decided to adjourn the launch. Pay them what they want and get on with it! Somebody at Telespazio France is gonna get slapped.